There’s a moment, falling near the end of “Episode 3" of The Menendez Murders, that’s meant to be an all-encompassing insight into the unique tone and reach of this specific trial. Erik and Lyle Menendez, each locked away in their cells, are told that they will be leaving for a bit in order to allow ABC News to get some footage of their cells for a broadcast. It’s a request approved by the District Attorney’s office, and specifically Ira Reiner. Before the boys are taken to a separate holding area, they ask if they can remove some of their personal belongings. The guard grants them permission and they go about hiding photos, books, and Erik hides the Bible he’s reading. The scene is meant to be integral to our understanding of this trial. It’s meant to show us how the D.A. was maybe stoking the fires of the media, how the networks were eating it up, and how it severely crippled any sort of defense Leslie Abramson could craft for her clients. But there’s a flaw in this kind of moment, and it’s perhaps representative of the show’s struggles as a whole. The problem is that the moment is fleeting, its impact never truly explored. The Menendez Murders is telling us about the important role of the media in this case and how the prosecution is manipulating the news networks to their advantage, but it never shows us the steps or the true impact. That’s really the case with so much of The Menendez Murders. Nearly every single commercial break is punctuated by some sort of revelation that’s meant to change the course of this case or provide insight into one of the characters. But when every single one of those moments is treated like a big deal, the result is nothing feeling like a big deal. “Episode 3" does get off to a promising start. 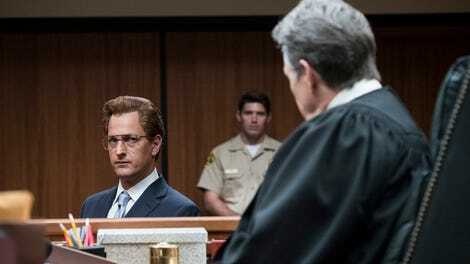 As Lyle and Erik put on their best clothes and enter the courtroom to make their pleas, there’s the sense that this case is finally getting moving, and with that comes some hope that The Menendez Murders might find its footing as a courtroom drama rather than a police procedural. That hope goes out the window in mere minutes though, as “Episode 3" quickly shifts its focus. Shortly after that, we’re introduced to Megan Lang at ABC News and come to understand her drive for the most exclusive footage. We hear about Diane Sawyer and her plans to track down Lyle’s former dorm roommate, Donovan Goodreau, and secure an interview with him. Normally, this kind of scope would be welcome; how the media affects public perception is an idea certainly worth exploring. But The Menendez Murders never goes far enough. The media analysis is mostly a surface-level critique, or perhaps not a critique at all. When, later in the episode, both Donovan and Jerry Oziel delight in their fifteen minutes of fame on TV, there’s no admonishment of their vanity or sense of how it affects them internally. It’s played straight, and then the episode moves on. Moving so swiftly between each revelation means that nothing is allowed to sink in, which is a shame because there are decisions made by these characters that are worth contemplating more thoroughly. When Lyle tells his girlfriend to lie about his father making a pass at her, it should be a valuable bit of character insight, but it never amounts to much. It only paints Lyle as monstrous, something we already know. There’s no nuance to it, and that means Lyle doesn’t feel like a person, but rather a typical TV show villain. Nearly every single scene with Lyle and Erik is peppered with clichés, and that restricts any potential for a more detailed psychological profile. Over and over again we’re told that Erik and Lyle were lonely, chastised by their parents,and living in fear. “Episode 3" doubles down on the cliché rhetoric, as Erik muses on how acting let him be someone else for awhile, and Lyle talks about how happy he was when Erik was born because it meant that he wasn’t alone in that house anymore. Again, these could be meaningful bits of character information, but the show glosses over them, only using them as stepping stones to a reveal that feels as underwhelming as the rest. That reveal comes in the form of a taped confession from Erik, who tells his new, Leslie Abramson-approved psychologist about the sexual abuse he suffered at the hands of his father for many, many years. It’s a horrifying story, but considering how every other major reveal has been handled so far, it’s difficult to see this one as suddenly game changing. It feels like just another piece of information added to the ever-growing pile of details. It’s another example of The Menendez Murders failing to display any sort of personality or creative vision despite its explosive content. I may have laughed a little too hard at Lyle’s wig-less prison look. How did Judalon make it to the stand? Didn’t anyone anticipate her being way too bonkers to give any sort of testimony? 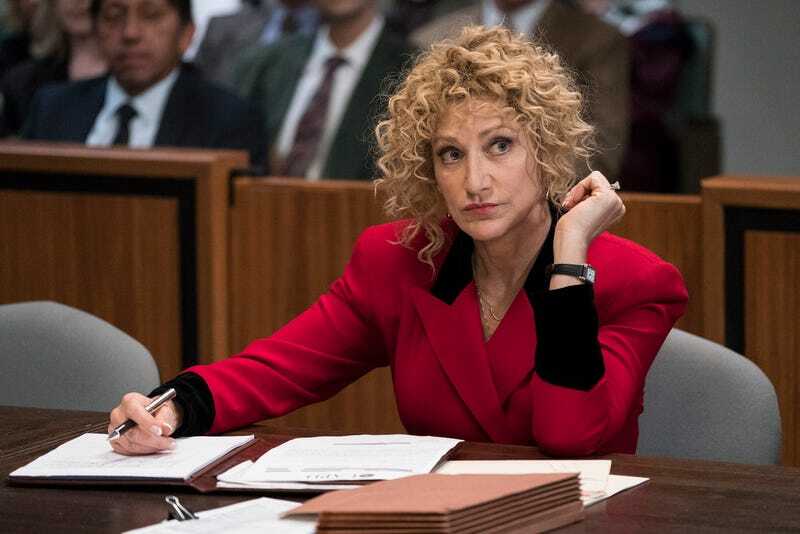 I wish Edie Falco was given more room to explore how Lyle and Erik’s admitted guilt affects her decision to take on the case. A programming note: the screener well seems to have run dry, so you can expect these reviews to appear later than usual.